The Mega Man X series is one of my all time favorite game series. While I haven’t beaten every game in the series, I can safely say I’ve beaten most of them. The first three are definitely classics, the fourth one (despite it’s bad voice acting) probably has the best story in the series, and the fifth one is the one that the series should have ended on. One of the cool things is that the further the series progressed, the more they added backstory for the bosses. 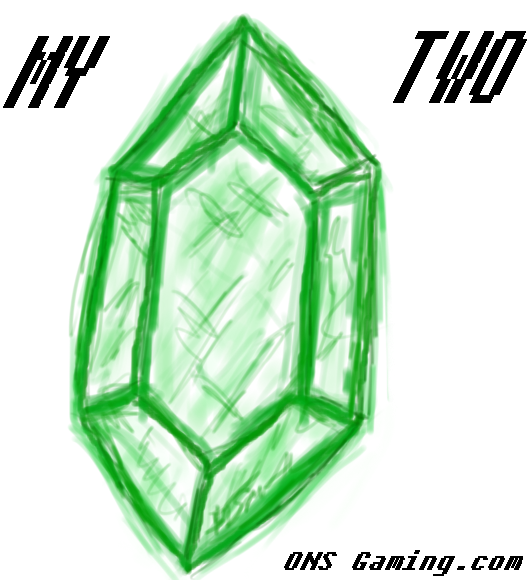 In the first game you got a couple of tidbits about some of them, but they never really expanded. Once the series hit the Playstation Era and onward, it started to really get good in regards to some of them (usually with throwbacks to the older games, which hey, we all like). Without further interruption, here’s my top ten Mega Man X series Mavericks. Blizzard Buffalo is an interesting boss. 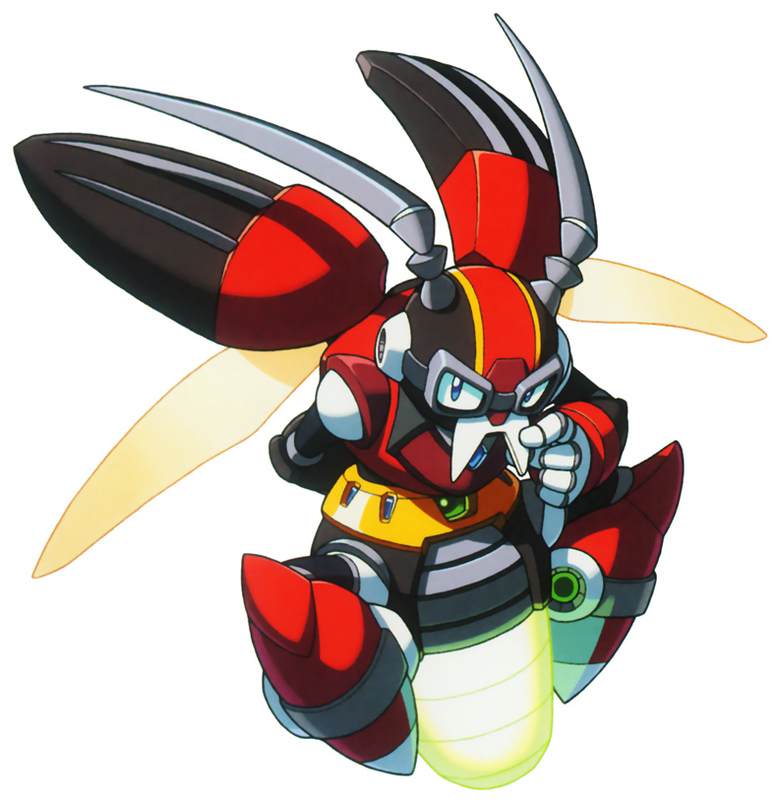 Unlike most of the other mavericks up until this point, he actually wasn’t a former Maverick Hunter (all of the bosses in X1 and most of them in X2 were). However, he stands out uniquely for one reason. 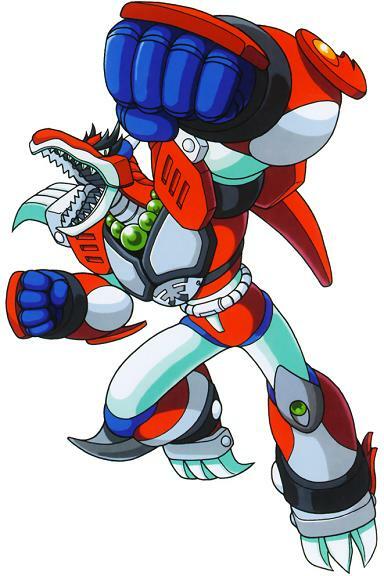 He never wanted to fight, this reploid was actually a peace loving artist who loved to sculpt things out of ice. Even under the effects of the Maverick Virus, he didn’t want to fight. 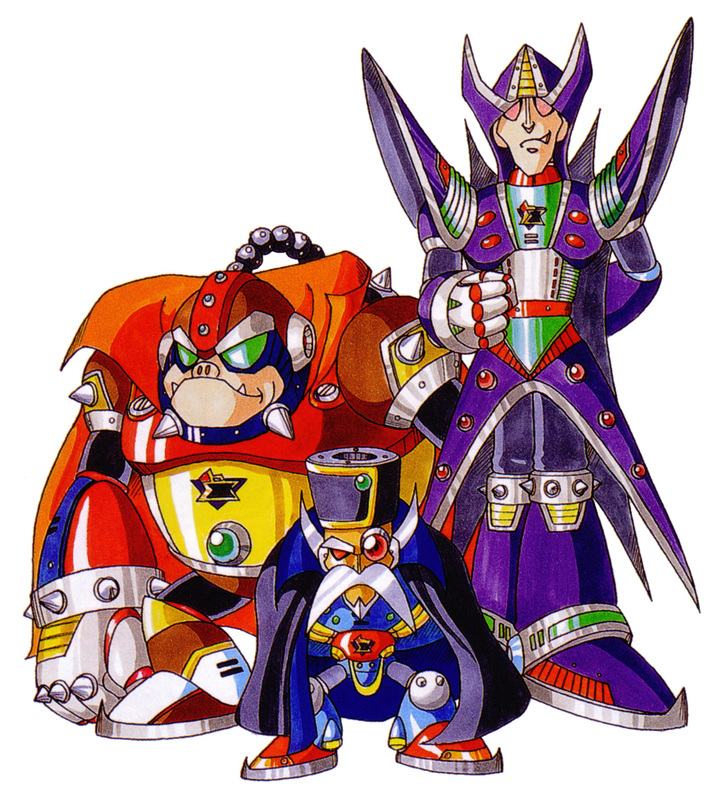 This was a change from the other bosses, who were either former Maverick Hunters who had fallen susceptible to the virus, Sigma sympathizers, or just random reploids who went Maverick. It’s a shame that’s the only interesting thing about Blizzard Buffalo, because he has the worst AI in the series due to a glitch. But for his unique backstory, he deserves a spot on this list. As far as later Mega Man X games go, Mega Man X4 might be the best. Most of these bosses should be on this list, but that’s an opinion piece for another time. 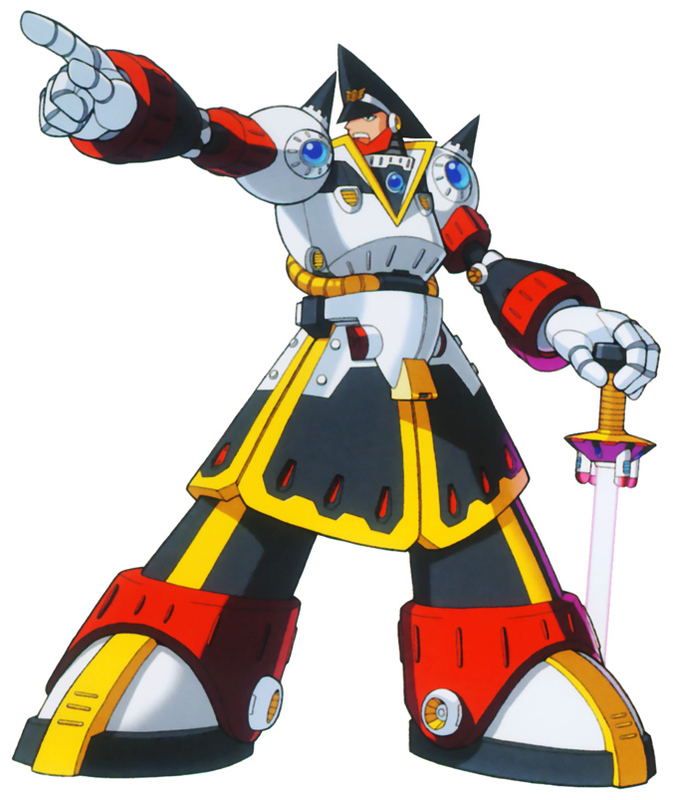 While many Mavericks in the game were once Hunters, the key thing that stands out between them and Magma Dragoon is that he turned on X and Zero just for the chance to fight them. That’s pretty cool, but his design is even cooler. First, he has Akuma’s prayer beads, a heavenly sky symbol on his chest, and Ryu’s eyebrows. His attacks are all based on moves from Street Fighter (he even shouts Hadouken when he throws a fireball at you), and he shares Ryu’s love of a good battle. 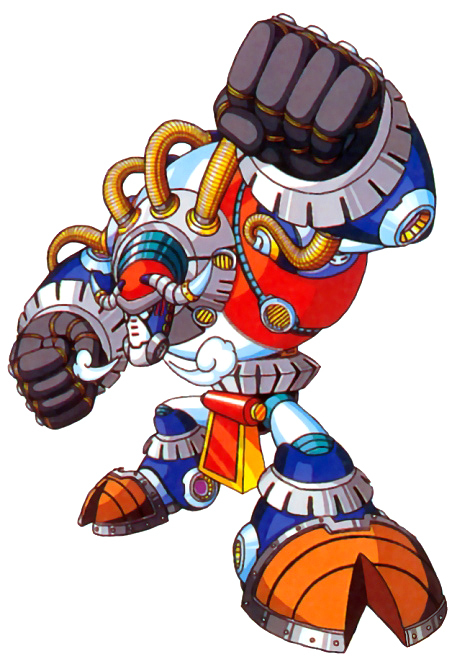 Couple that with the big reveal that he was the one responsible for dropping the Sky Lagoon on the city at the beginning of the game, you have the formula for a perfect Mega Man boss. All in all, a great Maverick with some a great design for longtime fans. The whole list of enemies from X5 could be on this list. They were given such awesome backstories, and a lot of the bosses had interesting easter eggs involved with their story. This is probably due to the fact that the game was intended to be the last in the series. Izzy Glow is notable because he was an Engineer who was very reclusive and didn’t allow most of his work to see the light of day, due to the fact that he was worried they might use his research to create weapons. His laser device is necessary to power up the Enigma Cannon. While he admits he doesn’t trust the Maverick Hunters, he also realizes he is becoming a Maverick and can’t do anything to stop it, and in one last act, he begs the player to put him down before he fully turns Maverick. It’s one of the few times where an enemy is selfless enough to accept death rather than cause destruction in the series. Mega Man X2 is probably the weakest game in the series, and it shows. It’s not bad, just not great. The bosses are completely forgettable, and the only real purpose it serves is to revive Zero. The X-Hunters collected his parts and are trying to revive Zero. You fight them twice, and if you seek them out six more times in hidden areas of certain stages, you’ll gather all of Zero’s parts. You also fight them at the end of the game. This is the first time a Mega Man game could have an alternate ending (although the ending in which Zero is revived is canon). They are probably known more for reviving Zero rather than being great, deep villains, but due to their significance on the story they definitely deserve a spot. 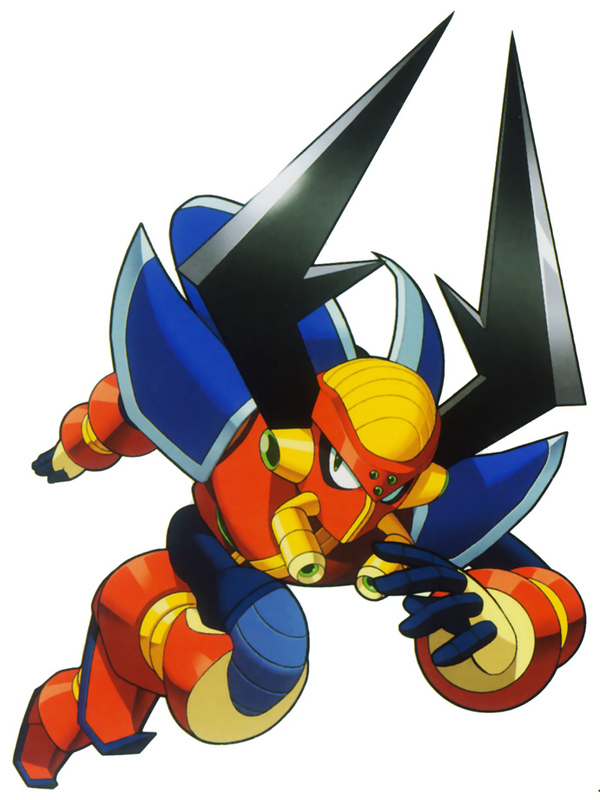 My second favorite of the original 8 Mega Man X mavericks, Boomer Kuwanger is the one of the more memorable bosses you can fight. Blessed with the ability to teleport and strong enough to be able to kill you with a few attacks, Boomer Kuwanger was definitely one of the harder bosses. Thus, it was not recommended to fight him without his weakness. But more importantly, Boomer Kuwanger was the first Maverick who willingly went Maverick. He wasn’t infected with the virus, he just used deductive reasoning and logically figured it would be better to join Sigma than stay with the Hunters who were basically just X and Zero at this point. Coupled with his design, his intelligence (although he was wrong in the end), and the fact that he’s the first “free will” Maverick makes him a great addition at the #6 slot. Dr. Doppler is the main antagonist of X3 and another one of those backstory centric villains. 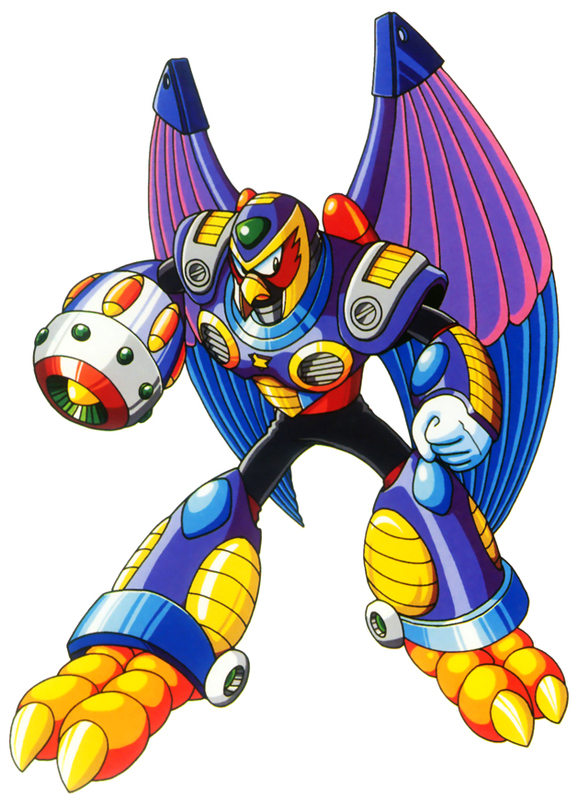 He’s a Reploid Scientist who claims he has created a vaccine to the Maverick Virus, and administers it to many Reploids. He also builds his own town called Dopplertown. Unfortunately, the vaccine turns out to be a placebo and only ends up creating more Mavericks. With this, he creates his own Doppler Army and plots to take over the world. After defeating his eight subordinates, you end up fighting him and after defeating him, you find out he was under Sigma’s control. He then aids you in a different way depending on the path you’ve taken. If Zero is still functional, he loads the actual Sigma Virus vaccine on Zero’s saber to defeat Sigma. Otherwise, if Zero had been sent back to the lab for anything else, Dr. Doppler will use the vaccine on his body and sacrifice himself. Because no one knows what the canon ending to X2 was, no one knows which version of said events happened. Although, Dr. Doppler hasn’t appeared in any games since, leading many players to believe that he did end up sacrificing himself. Rest in Peace, Dr. Doppler. Storm Eagle is by far the best of the original Mega Man X mavericks. Not only did he have the strongest weapon, but he also had the coolest stage and the best stage music. He was the leader of the Maverick Hunter’s Air Cavalry unit, and was highly respected by everyone, including X and Zero. After Sigma turned Maverick, Storm Eagle attempted to stop him and failed. In turn, Sigma forced him to join him, which Storm Eagle did, although reluctantly. It’s Storm Eagle’s airship you see at the start of the game, which causes the destruction on the highway. Even when you fight him, it’s revealed that he had never truly gone Maverick, and implies that if he weren’t under duress he wouldn’t be doing what he was. His conviction and honor even in death was something never seen in other Maverick bosses, making Storm Eagle one-of-a-kind. While it would seem to make more sense to put General here, the driving force in Mega Man X4 is Zero’s tragic love story with Iris. And being that Colonel is her brother, and his death causes her to fight him, it only seems right to place him here. Before X4 there wasn’t a lot of backstory to Zero. He was created and he is stronger than X in the first three games (at least until X gets his upgrades), but hardly anything is mentioned about him. Slowly as you play through X4 you begin to learn more and more about Zero’s past. Zero’s story is so good it’s almost pointless to play through X’s campaign. This brings us back to Colonel. In the first stage of the game, Zero saves Iris from an evil Maverick and you’re introduced to her brother, Colonel. It’s implied they all know each other, as Zero and the Colonel have a great respect for one another. The Repliforce arrives on the scene after the Sky Lagoon falls, but unfortunately everything thinks that they are the ones that dropped it. Zero asks the Colonel to disarm and follow him back to HQ but Colonel says he won’t do it, not even for Zero. This news causes the Repliforce to revolt and make a world safe for Reploids (without humans). This forces Colonel to challenge Zero (Zero asked him to stand down, but they fought anyways), only for Iris to ask them to stop. After defeating the other Mavericks, Zero asks Colonel to stand down again, but won’t do it. Cue another fight, and while Zero tries to end the conflict without killing him, he’s forced to. 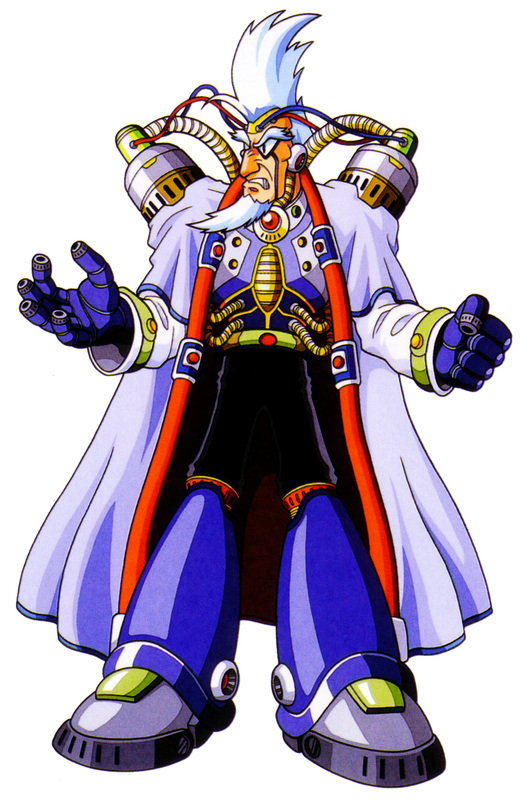 Colonel was a honorable man on the wrong side, blindly being manipulated into what he thought was best for Reploids. Sadly, the damage was far from over. Still in grief over her brother’s death, Iris ended up taking Colonel’s control chip and merging it with her programming, and then fighting Zero. Zero ends up killing Iris, and it completely wrecks him for the rest of the X series. Sigma might have been the final boss, but in a game which was pretty much The Zero Story, the triangle between Zero, Colonel and Iris is what sets it apart. Had they not have been on different sides, Colonel and Zero would have probably been friends. 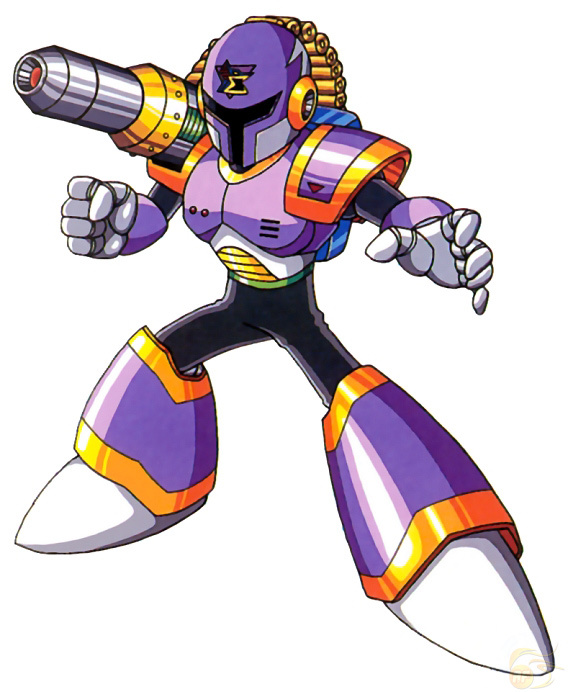 Vile is not only one of the coolest mavericks in the Mega Man X series, he’s one of the coolest characters, period. Designed as a war machine, he had a love of battle caused partially due to an irreparable short circuit in his brain which gave him an almost sociopathic obsessive with hunting down and killing Mavericks. Because of this, he was a great Maverick Hunter, but he never liked listening to anybody but himself, and often put innocent bystanders at risk with his gung-ho mentality of destroying Mavericks. There could only be one, couldn’t there? Sigma’s influence in most of the series’ affairs is evident. 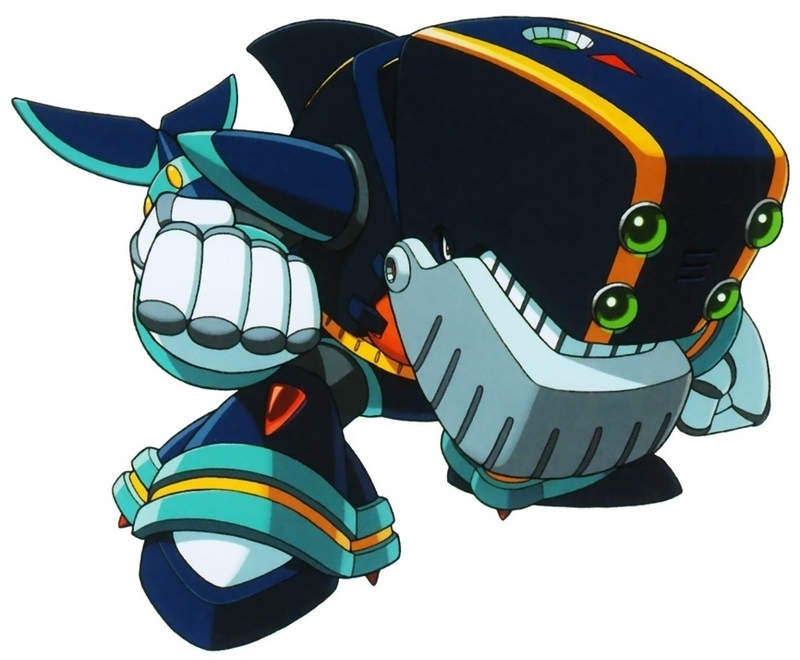 He was the one who revolted at the beginning of Mega Man X, which set the Maverick Wars into motion. He convinced the X Hunters in X2 to collect Zero’s parts. He turned Dr. Doppler maverick in X3. He manipulated Repliforce… yeah, I know, you get it. But that’s no different than any long running series villain, right? Why isn’t someone else at the top of this list. It’s because of the way they built up Sigma’s backstory. As the games progressed, you learned that Sigma didn’t just turn Maverick. You learn why he turned Maverick. Or more importantly, how he turned Maverick. It’s first revealed in X4 (in Zero’s story) that he was the commander of the 17th Elite Maverick Hunter Unit and his programming was so advanced that it would prevent him from becoming a Maverick. He was a great leader and respected by his men, but one day while tracking a mysterious Red Maverick he was lead to an abandoned laboratory. A fight breaks out, between Zero and Sigma, which sets the entire series in motion. 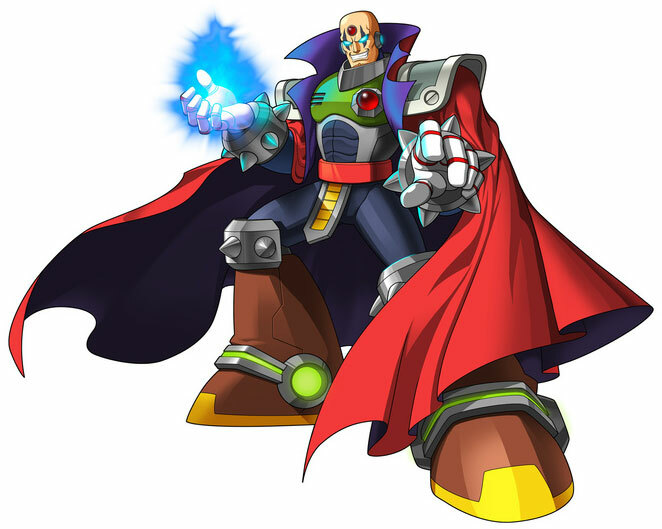 Sigma wanted to destroy Zero in order to prevent the deaths of any more Reploids. During the fight, Sigma was badly beaten, but he managed to smash Zero’s energy crystal, and it effectively ended as a draw. But because the fight took place so close to Zero’s capsule (which was leaking trace amounts of the Maverick Virus), it transferred both to Zero and Sigma. While it fixed the flaws in Zero’s programming, it began to merge with Sigma’s and started to develop into the Sigma Virus. Zero was brought back to Hunter HQ and eventually joined, while Sigma seemed to be unaffected by the virus. Slowly but surely, he eventually succumbs to it, and realizes that humanity was keeping the potential of Reploids down, and lead the revolt. Of course, he was defeated, but that doesn’t stop him from coming back. 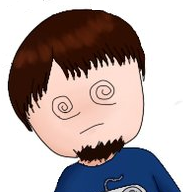 Since the original game, he is normally the one driving the series’ plot forward, either directly or from behind scenes. And his design usually gets better with each game, especially in X4 where he’s literally portrayed as the grim reaper. And of course no one can forget his lightsaber in the first game, or his wolverine claws in X2. They managed to keep him fresh despite keeping him involved in every game. He’s a great villain, and one who used to be an admirable hero. For sure the series’ top choice, and definitely one who should be ranked with the likes of Bowser, Ganon, and Ridley in gaming lore.